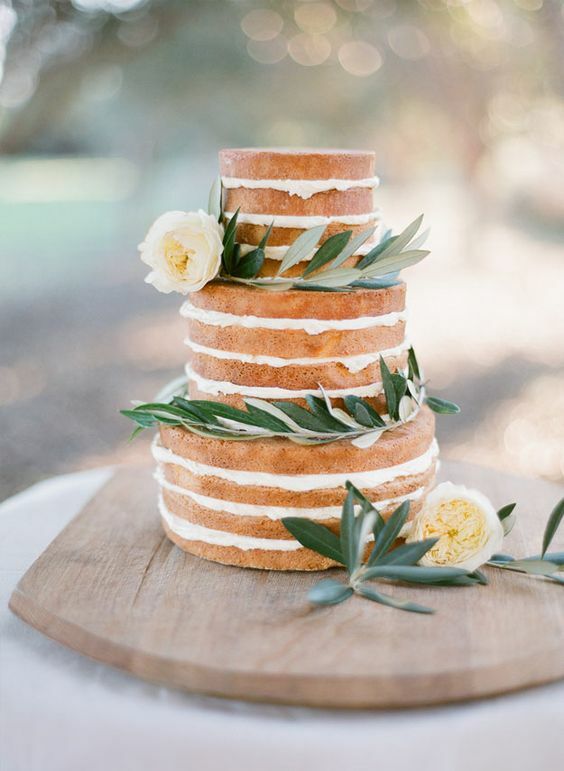 Finding the best wedding cake flavors is not an easy task. 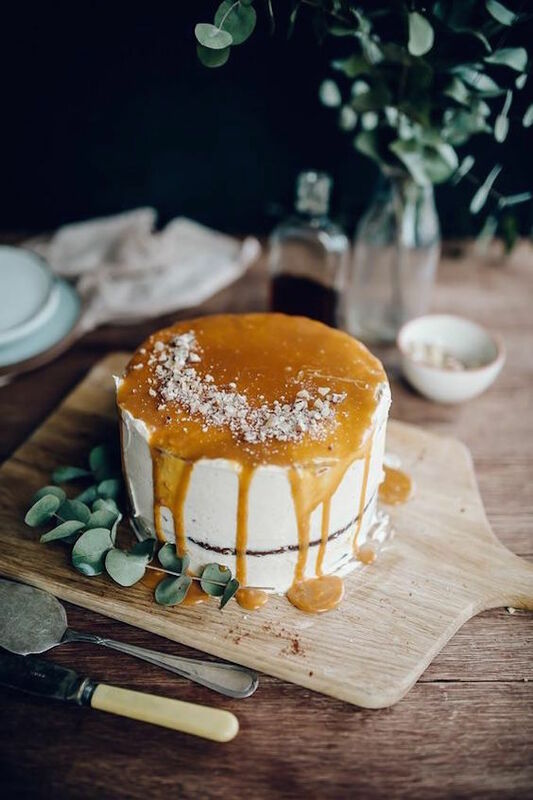 Exotic cake flavors and combinations are the latest trend and this article will guide you through how to pick the perfect cake flavor for your wedding! 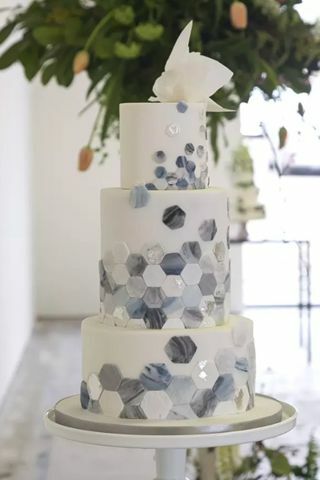 Unique, bold and dramatic wedding cake idea. 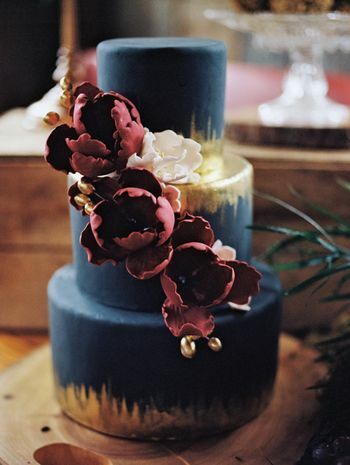 Navy fondant cake with metallic gold and berry colored flowers. Wedding Photographer: Sonia Bourdon Photography. 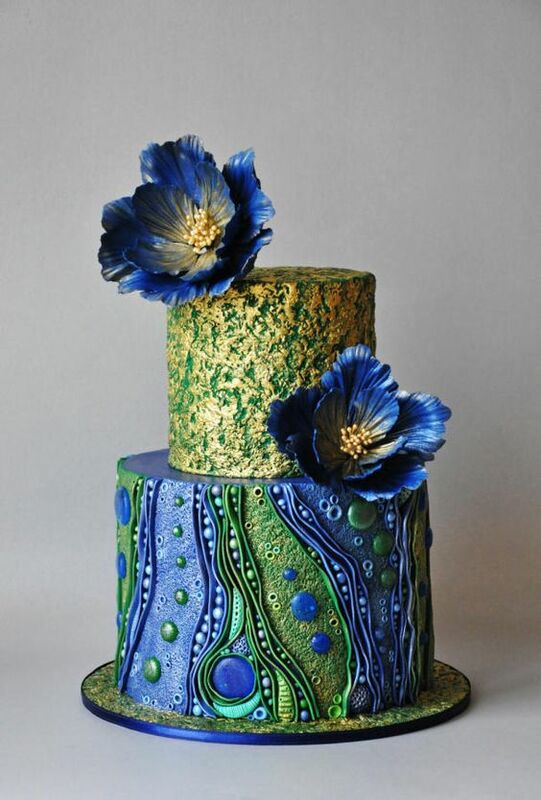 You picked the cake design but what will the cake taste like? 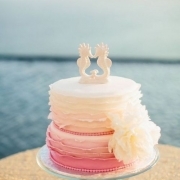 Wedding cakes are made up of tiers or cake layers. Each tier can be a different texture and/or flavor. The variety of wedding cake flavors can be overwhelming, to say the least. 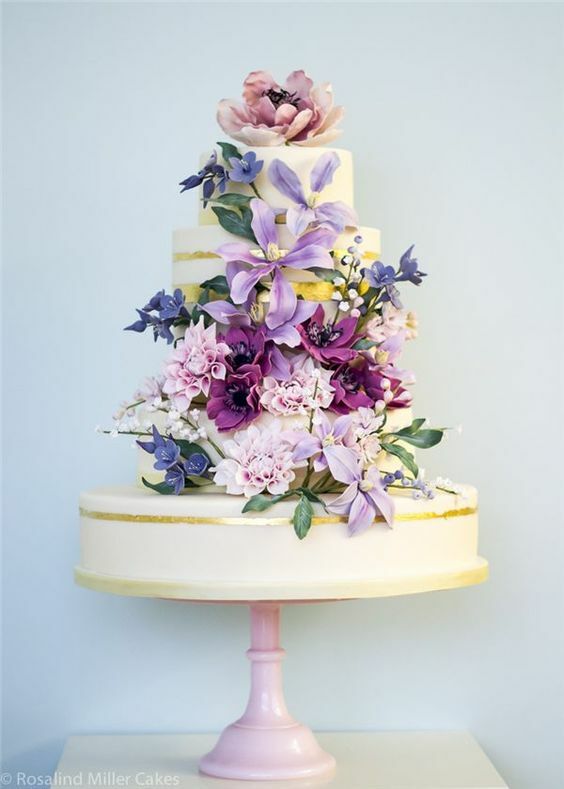 Let’s start with a list of the most popular wedding cake flavors. 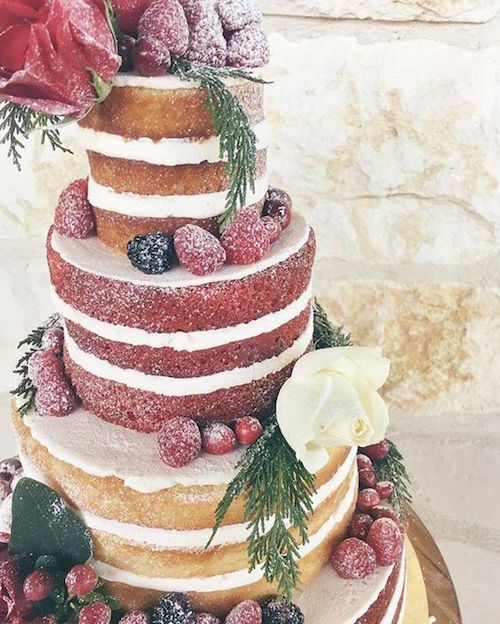 Although if you are a trendy bride, you may want to pick one of the latest and trending wedding cake flavors. Pumpkin squash, dulce de leche, blueberry berry, champagne, lemon, and chocolate are really hot this year. As you can plainly see, they range from the tried-and-true classics to the more elaborate and stylish flavors. Chiffon Cake: A very light and fluffy cake made with vegetable oil. It can be stored or frozen without drying out. Sponge Cake: Sponge cake is firmer and good for stacking cake layers on top of one another. It can have different flavors, like vanilla, lemon or Belgian chocolate. 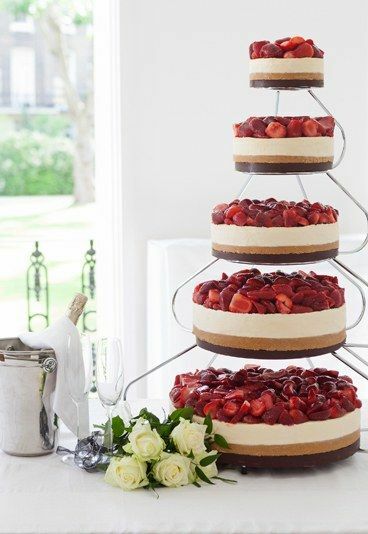 Cheesecake: An alternative to the traditional cake, a baked vanilla cheesecake with a crumbly biscuit base. Carrot cake: Carrot cake usually has a soft, dense texture, and of course, carrots mixed into the batter. Banana walnut cake: The banana walnut cake is a sweet and delicious dessert that will impress anyone! Almond cake: Light, moist and velvety and quite typical of certain parts of Spain. Ole! 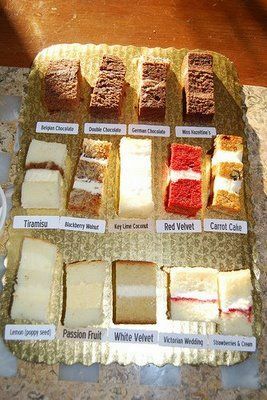 Wedding cake flavors. Take your pick from these delicious Italian cakes! Champagne cake: A champagne infused cake with classic vanilla buttercream is the perfect way to celebrate a wedding! Red Velvet cake: Red Velvet cake is traditionally a red or red-brown layer cake topped with white cream cheese or cooked roux icing. Spice cake: Traditionally flavored with a mixture of spices. Predominant flavorings include spices such as cinnamon, cloves, allspice, ginger and nutmeg. Devil’s Food Cake: Devil’s food cake is a moist, airy, rich chocolate layer cake. Three tier chocolate and vanilla edible gold wedding cake. Wedding photographer: Diana McGregor. Buttercream. This is the most popular frosting flavor made of butter, powdered sugar, and any flavoring you like. Definitely taste test your baker’s buttercream because there are so many variations, each buttercream type can be very different. Meringue. This is a smooth, creamy frosting made with egg whites, sugar and flavorings. This is especially perfect for beach weddings, as it holds up well in the heat and will not melt. Fondant. This is a paste-like icing that gives the sugar a very even finish, giving the cake a smooth texture. It is a bit chewy, so not everyone enjoys the texture when eating it but it can give a very refined look to the finished cake. Ganache. This is chocolate melted with heavy cream. This will give a very shiny glaze to the cake, or it can be whipped for a more “fluffy” effect. And the trending frosting this year is whipped cream! Yum! Of course, you can always skip the frosting and go for a naked cake or for the cake of the year, the drip cake! 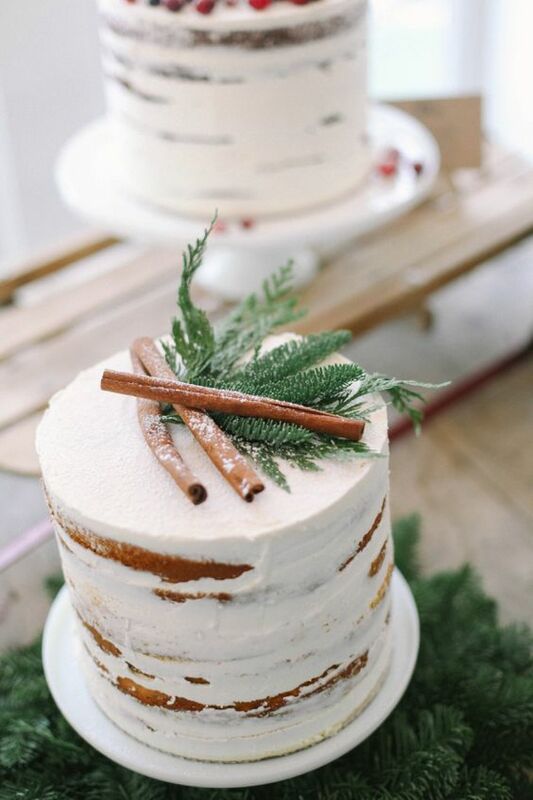 Fall wedding cake flavors. Gone are the light flavors of citrus and summer fruits. 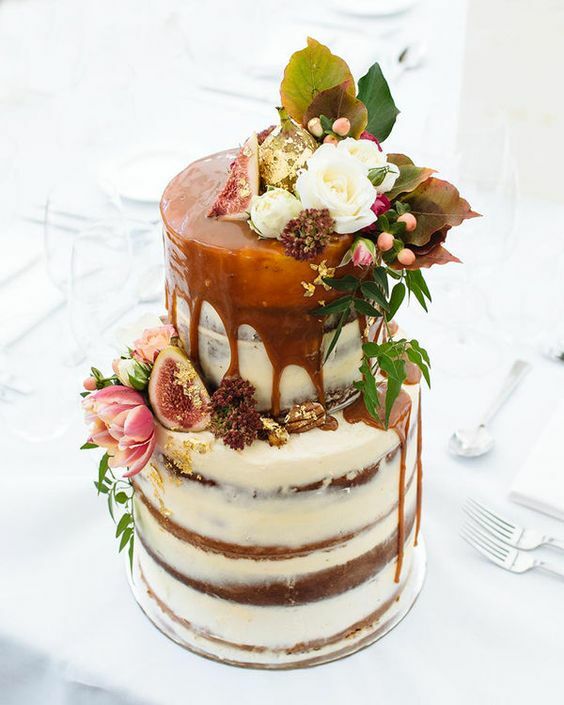 Autumn events favor decadently rich desserts, such as this wedding cake drizzled with salted caramel and decorated with figs. Ok, if you are not hungry already, you are about to be. We have already discussed the cake flavor and the icing, but there is also the matter of the filling. How do you combine all three of these glorious, delicious components to create the perfect symphony of wedding cake flavors? Here is a list of recommended combos that will hopefully wrap the perfect bow on your final cake choice. Chocolate-gasm: There is no shame in making every single wedding guest love chocolate as much as you do. Set chocolate cake with a chocolate mousse filling and chocolate buttercream and the guests will be dancing, if not from happiness then from the sugar rush. Vanilla Raspberry-licious: Vanilla sponge cake with raspberry jam filling and a marzipan frosting. Do we need to say more? The tartness of the raspberry will perfectly offset the sweetness of the vanilla and marzipan. And it’s fruit so you can pretend it’s healthy too. Carrot Cream Cheese Craze: We all know (and most of us love) carrot cake. It can be a bit of a divisive topic but if you don’t like carrot cake, we can all agree on one thing, the cream cheese frosting makes it all worth it. And this is a vegetable, so it’s definitely healthy! Need We Say S’More: A traditional bonfire treat meets a classy day in delicious s’mores flavored wedding cake. Accomplish this by having a graham cracker cake set with chocolate ganache, marshmallows, and vanilla buttercream. You can even toast the outside marzipan for full effect. Raspberry Dacquoise Cake. Almond-and-hazelnut meringue joins vanilla buttercream laced with raspberries and crème framboise in this divine standout, complete with sage-green fondant and piped golden raspberries. Lemon meringue buttercream-y: Fresh and summery lemon cake with raspberry mousse and Swiss meringue buttercream filling. 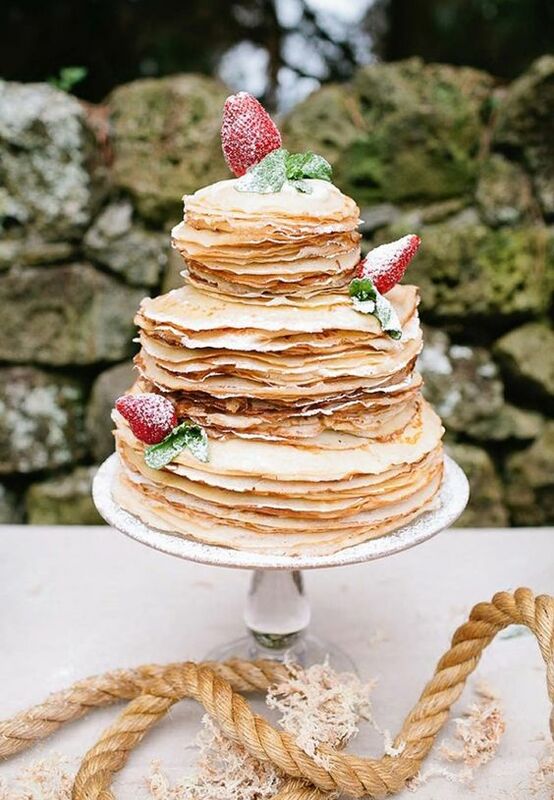 Pick a non-traditional cake for your wedding like a crepe wedding cake. 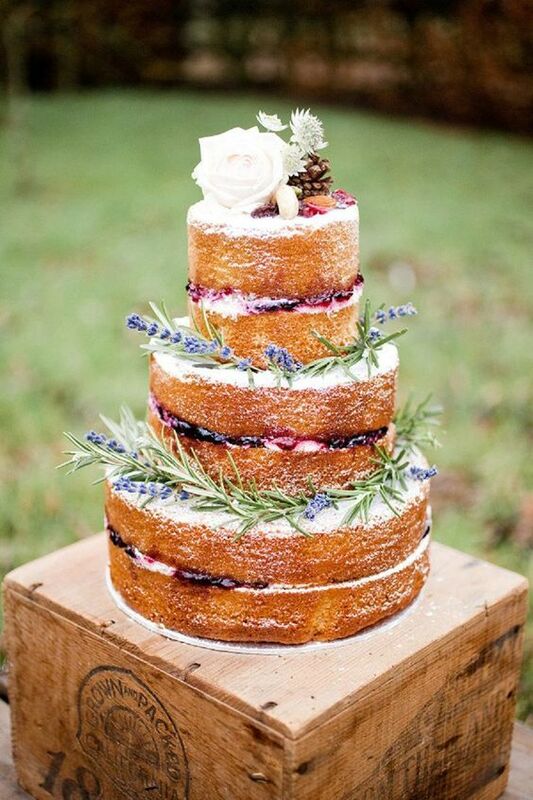 We love alternative wedding cake flavors! Pick your favorite wedding cake flavors. 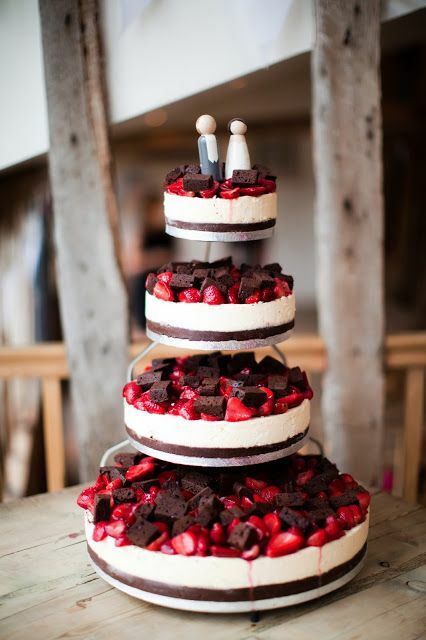 Strawberry cheese wedding cake with chunks of chocolate. 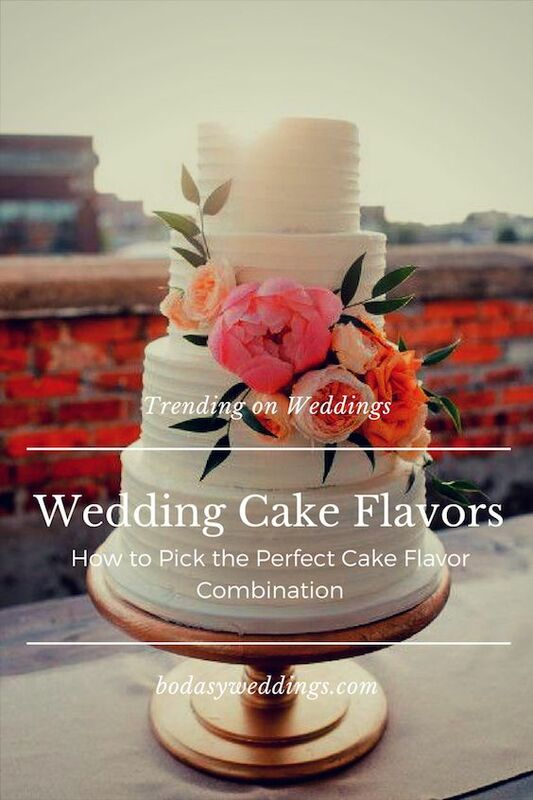 As you can tell from the lists above, there are an overwhelming array of options to choose from when selecting the perfect wedding cake flavor. So how do you decide? 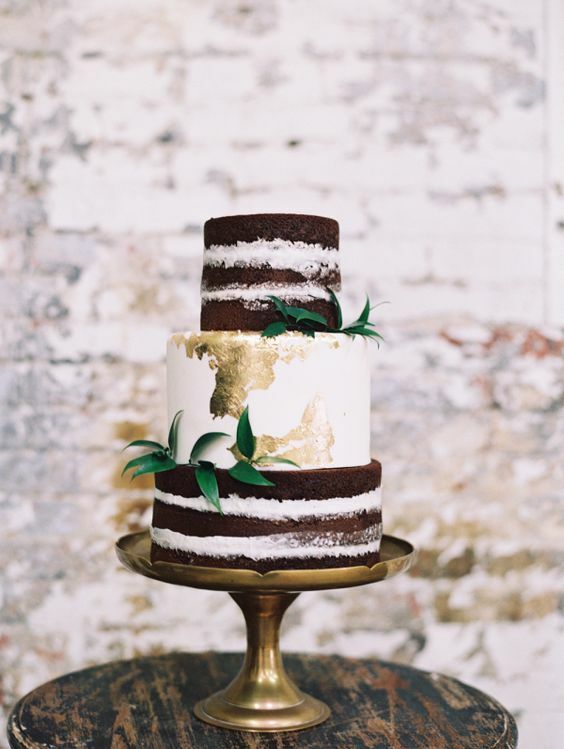 How do you come to the conclusion that a specific cake is the perfect one for your big day? Choose your favorite flavors or wedding cake flavors that have a special meaning to you. Don’t worry about pleasing everyone or making a ‘safe’ choice. 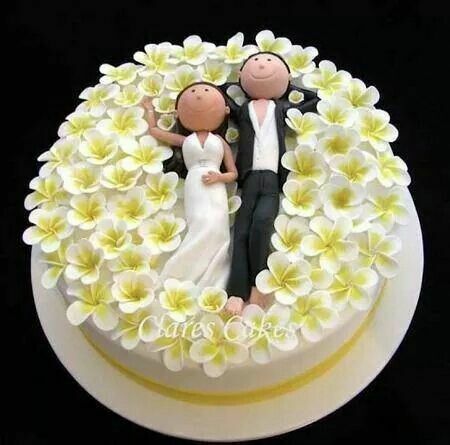 After all, this is your cake and your wedding day. 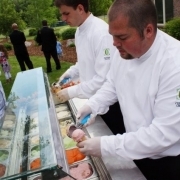 Be Mindful of Your Wedding Season or Your Dinner Menu. Are you getting married in the summer? Then a coconut, lime-flavored cake might fit perfectly. 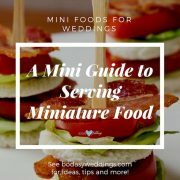 Are you having an Italian inspired wedding menu? Then you might want to incorporate some cannoli filling to your cake. Research. Look into what cake flavors are emerging in popularity. Meet with different bakeries and schedule consultations where you can taste the flavors, so you know exactly what you are getting. If you really can’t decide, choose multiple flavors. Who says your cake has to have a single flavor? Where is it written that you must have only have only one cake, for that matter? There are endless ways to be create on today’s weddings. If you want multiple cake flavors, indulge! Your guests will be delighted to have choices. 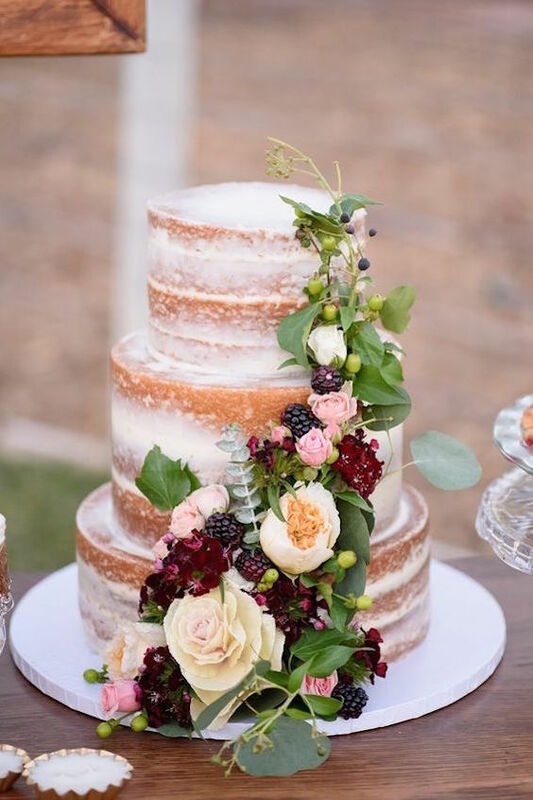 We are happy to report that we have thousands more ideas for wedding cake flavors and combinations to help you choose yours. Check out the photos below! Trending wedding cake flavors. A guide to help you pick the perfect cake flavor combo. 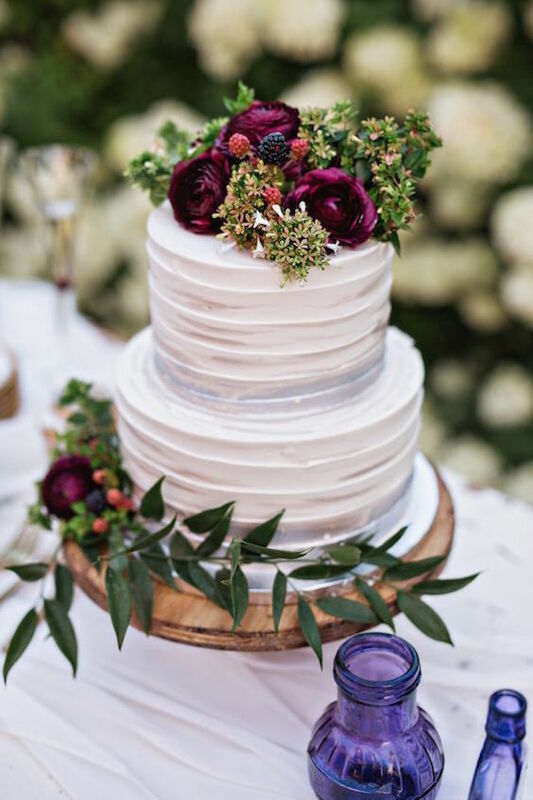 A multi-flavor naked cake all your guests will love! Amazingly beautiful wedding cake with white fondant and a sparkling gold top tier. 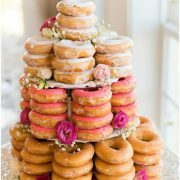 An alternative to the traditional wedding cake! And the trending frosting this year is whipped cream! Yum! Chocolate whiskey wedding cake with salted caramel buttercream. 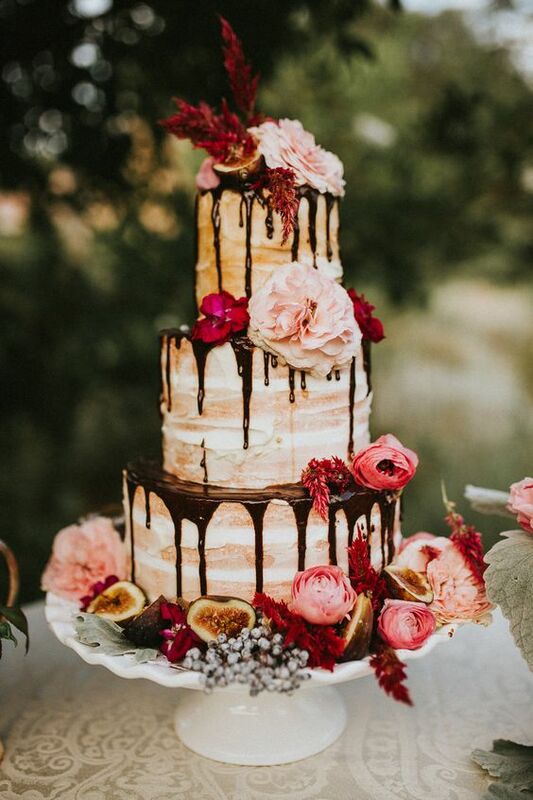 Drip cakes are the latest trend in weddings. 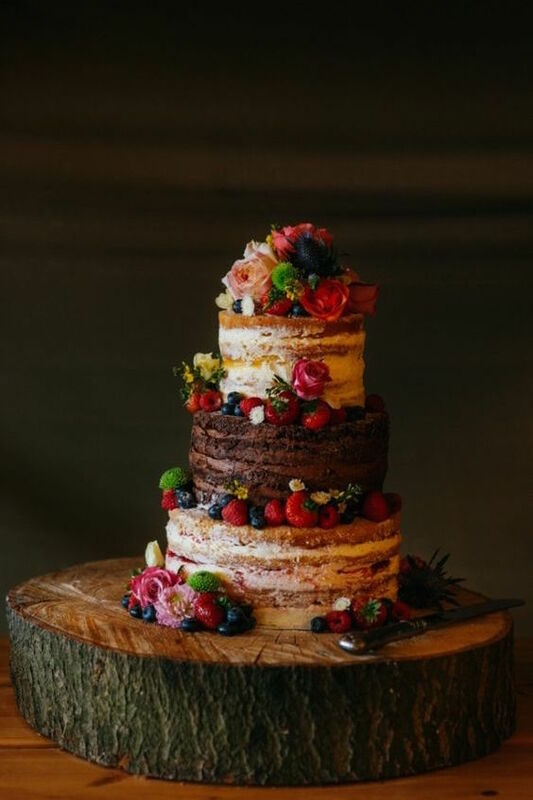 Naked cake draped in flowers & berries. 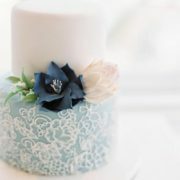 Gorgeous, smooth and delicate white fondant. You picked the cake design but what will the cake taste like? 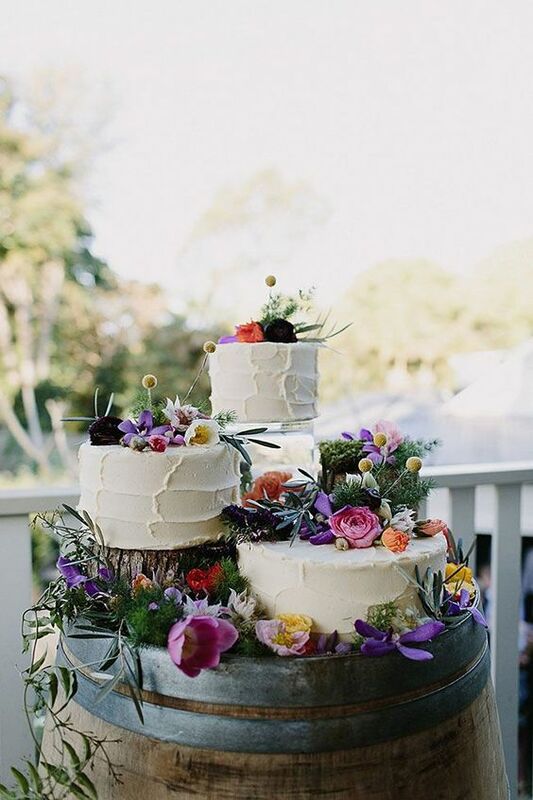 A rustic wedding deserves a multi-flavor open layer naked wedding cake by 2tarts Bakery. Take a look and happy pinning! 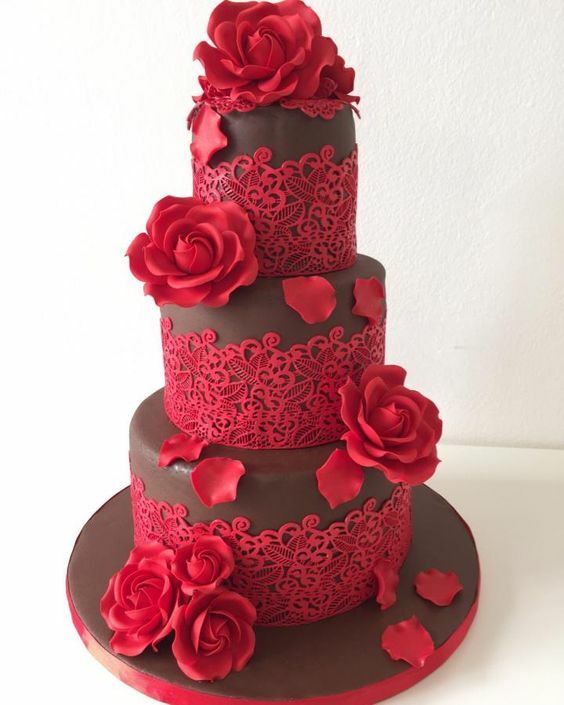 Chocolate and red roses wedding cake for the chocoholic couple by Monica Liguori. 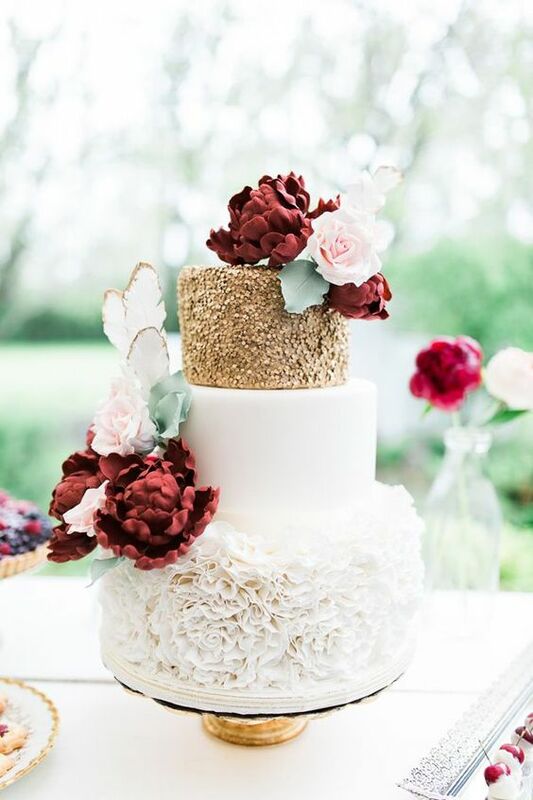 Cover your cake with textures of love. Baster bakers: ArchiCAKEture. Marble cakes have got us all starry-eyed. Naked cake with whipped cream layers yum! Perfect for a spring wedding. 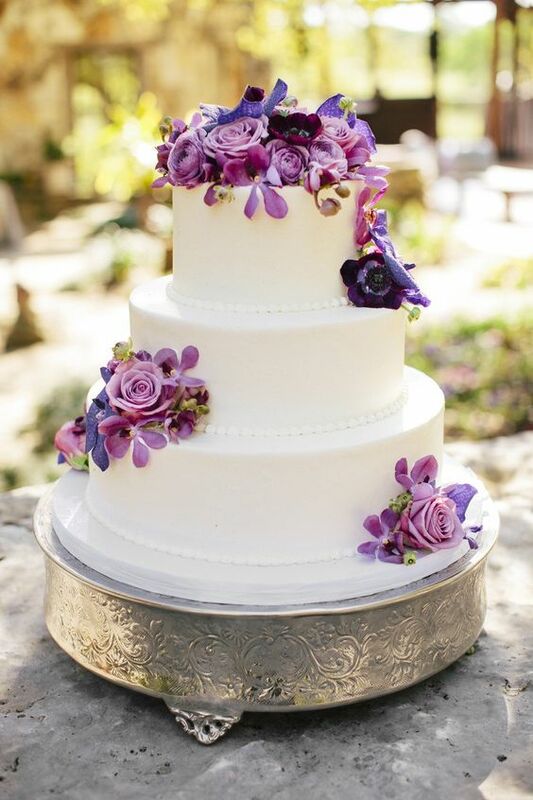 Rosalind Miller Sugar Flower Wedding Cake. 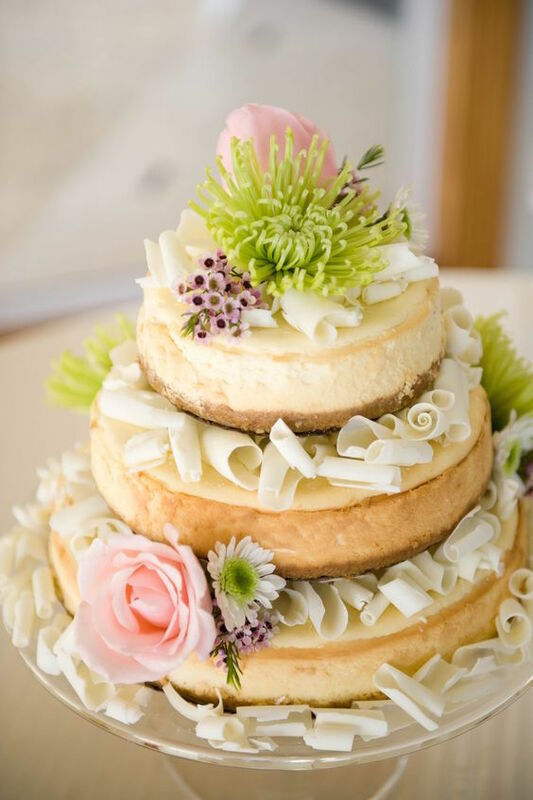 Wedding cake flavor for an alternative cake: Cheesecake! Wedding photography: The Barn at Twin Oaks Ranch. Whether you call them semi-naked, barely-frosted, half-dressed just keep the buttercream to a minimum. Scantily-clad succulent wedding cake by Wilton Cake Decorating. Majestic wedding cake. Discover how to pick the perfect cake flavor. Don’t forget the wedding cake topper! 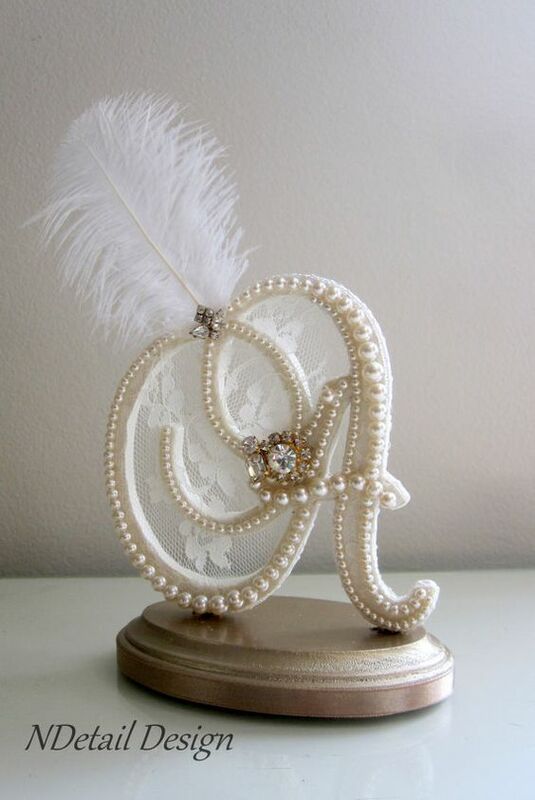 This custom monogram A vintage in ivory with pearls, lace & ostrich feather with gold jewelry is ideal for a Gatsby wedding cake. Muñecos de Torta, los Famosos Cake Toppers! !